We are the leading manufacturers and suppliers of Cable Filling Compounds. Our products have got immense popularity in the market for their quality standards. Our acquisition of high end technology and experience in manufacturing of cable filling compounds gives a distinct advantage to people using our superior grades of compounds. 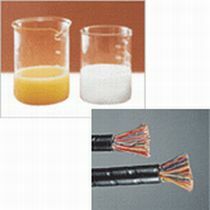 These cable filling compounds are good conductor of electricity and offer high resistance to heat. Our range of Cable filling compounds are resistant to drying, swelling, and cracking after filling into the cables.